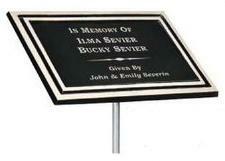 Cast aluminum plaques with raised double border and recessed area for an engraved plate. 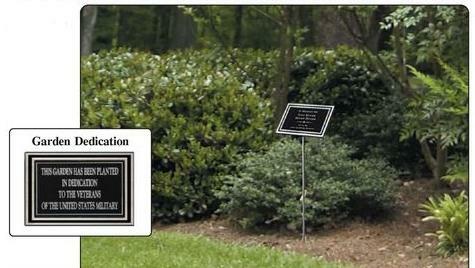 Stake Mount plaques have a cast rear mount to attach the supplied 24" Aluminum stake. 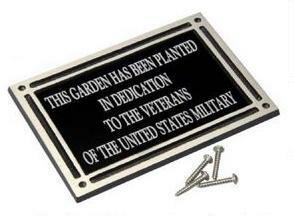 Plate Area 3" x 5"
Plate Area 7" x 9"
Cast Aluminum plaque with raised double border and recessed area for an engraved plate. 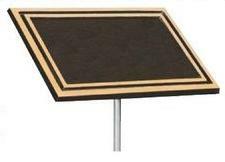 Flat back mounts have four holes and include stainless steel screws for mounting.